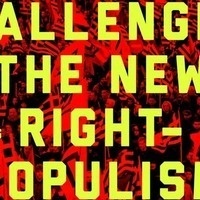 Join former Greek Finance Minister Yanis Varoufakis, former Brazilian presidential candidate Fernando Haddad and Jacobin Radio's Daniel Denvir, for a conversation on the fight against right-wing populism around the world. Across the globe, economic crises have weakened the legitimacy of neoliberal capitalism and made migrants compelling scapegoats. While recent years have seen a resurgent left, the Right has also taken advantage of growing public disillusionment with the status quo, the most recent example of this being the election of Jair Bolsonaro in Brazil. In a live recording of The Dig, Varoufakis and Haddad will discuss the rise of the right in their respective countries and abroad, and address the sharp debates over how the left should move forward at a moment that poses incredible danger but also historic opportunities. This event is free for New School students and staff (ID required).